On June 23, 2014, the Right to Information Act (RTI Act) stepped into its 10th year of implementation. The text of this law was published in the Official Gazette on that day in 2005 and some provisions became operational. Other provisions detailing the procedures through which people can access information or file appeals and complaints against delays in and denials of access became operational a hundred and twenty days later. The current study is based several parameters which are fundamental to such an assessment exercise. In 2013-14 a total of 138 posts of Information Commissioners (including the Chief Information Commissioners) had been created across the country. This is 20 more than the tally of 118 in 2012. Five additional posts of Information Commissioners have been created in Andhra Pradesh, four in Haryana, two each in Gujarat, Kerala, Madhya Pradesh and Uttarakhand and one each in Maharashtra, Punjab and Uttar Pradesh. At the time of writing this report, 14.6% of the posts of Information Commissioners lay vacant. In 2012, the vacancy figure stood at 30%, more than double the present figure. However, the total number of Information Commissioners serving across the country – at 118 – is the same as it was in 2012. The maximum number of vacancies is in Jharkhand – 5 posts are lying vacant as on date. Uttar Pradesh State Information Commission has the full complement of 11 members, as provided by the RTI Act. Punjab has 10 members and the Central Information Commission (CIC) and Andhra Pradesh State Information Commission have 9 posts each. Twenty six of the 29 Information Commissions are headed by male Chief Information Commissioners. The lone instance of a woman serving currently as Chief Information Commissioner is in Goa. In 2012, none of the Information Commissions had a woman as the Chief. The woman State Information Commissioner in Tripura continues to serve as the acting State Chief Information Commissioner (SCIC) since 2012. The CIC had a woman Chief Information Commissioner between December 2013 and May 2014. About 90% of the Information Commissions at the Central and State levels continue to be headed by retired civil servants as was the case in 2012. The lone exception is that of Jharkhand which is headed by a retired High Court judge. In 2012 there were 2 Information Commissions headed by retired judges. More than two thirds (69%) of the Information Commissions across the country are headed by retired IAS officers. The Information Commissions at the Centre and in Kerala are headed by former IPS Officers, that in Assam continues to be headed by a retired IFS officer, and J&KSIC continues to be headed by a retired IRS officer. The Madhya Pradesh State Information Commission is headed by a retired State Civil Services Officer. Only 11.8% of the Information Commissioners (11 out of 93) serving across the country are women. This figure has declined by about 3% since 2012 when a little less than 15% of the Information Commissioners appointed were women. Andhra Pradesh has two women Information Commissioners. The Information Commissions in Arunachal Pradesh, Gujarat, Haryana, Maharashtra, Punjab, Tripura, Tamil Nadu and Uttar Pradesh have one woman Information Commissioner each. More than 50% (6 out of 11) of the women Information Commissioners are retired civil servants a majority of whom are from the IAS. Two other women Information Commissioners have a background in social work and mass media while a third is a former member of the Shiromani Akali Dal – a recognized State level Political Party. A little less than a half (49.46%) of the State Information Commissioners are retired civil servants belonging to either the All India Services or the State Civil Services. This proportion has come down from 53% in 2012. More than 46% of the State Information Commissioners are retired civil servants belonging to either the All India Services or the State Civil Services. This proportion has come down from 53% in 2012. J&K State Information Commission is the only multi-member body without any retired IAS officer on it. One Central Information Commissioner served as Special Director, Intelligence Bureau during his service as an IPS Officer. About 21% of the Information Commissioners are either lawyers or retired judges or have taught law at a university. This proportion has reduced by a little more than 1% since 2012 although in terms of absolute numbers, this proportion has remained steady at 12. A little more than 14% of the Information Commissioners have a background in journalism and mass media. This proportion has increased from 10% in 2012. The number of Information Commissioners from the field of social service has increased from 1 to 3 since 2012. One State Information Commissioner in Maharashtra and Jammu and Kashmir, each, who were career civil servants have a background in Engineering. Three of the Information Commissioners are reported to be former members of political parties (CPI, SAD and INC). A similar figure was reported in 2012. One Information Commissioner in Arunachal Pradesh is identified only as a former President of the Arunachal Weightlifting Federation. Given the much lighter load of second appeals and complaints filed before the SIC in Arunachal Pradesh as compared to other States, the choice of a weightlifter, disregarding the fields of knowledge and experience listed under Section 15(5) of the RTI Act is difficult to understand. The State Information Commissions of Bihar, Odisha and West Bengal are filled with only retired IAS officers. Six of the 8 members of the Central Information Commission are retired civil servants. In September 2012, in the matter of Namit Sharma vs Union of India, the Supreme Court, while disposing a Public Interest Litigation (PIL) suit, directed the Governments to ensure that retired judges of the Supreme Court and retired Chief Justices of the High Courts be appointed as Chief Information Commissioners. The Central Government and the State Government of Rajasthan sought a review of this judgment. CHRI and two other parties intervened in the matter resulting in the Supreme Court recalling in September 2013, its earlier judgment. The Court issued fresh directions one of which requires Governments to make the effort to identify candidates other than retired civil servants for appointment to the Information Commissions. The Court also directed that only such candidates be appointed who have expertise and experiences in the fields mentioned in Sections 12(5) and 15(5) of the RTI Act. A majority i.e., about 46%, of the individuals appointed as Information Commissioners (16 out of 35) post-Namit Sharma review are retired civil servants mostly from the All India Services, and a few from the State Civil Services. Ten of the Information Commissioners appointed since September 2013 have a background in journalism. The Namit Sharma review judgment appears to have increased the chances for journalists more than experts in other fields mentioned in the RTI Act. While in Arunachal Pradesh one individual with a background in sports was appointed Information Commissioner, a retired College Principal with only a graduate degree in Commerce was appointed State Information Commissioner in Gujarat. Both appointments are in clear violation of the provisions of the RTI Act as interpreted by the Hon’ble Supreme Court in Union of India vs Namit Sharma. Neither individual fits the criteria specified in Section 15(5) of the Central RTI Act. In Arunachal Pradesh the Chief Minister of the Indian National Congress-led Government chaired the selection committee. In Gujarat the recommendation for appointment was same made by the selection committee chaired by the then Chief Minister of the BJP-led Government. More than three-fourths of the Information Commissions do not have a website in the local language. The CIC and the State Information Commissions of Chhattisgarh. Gujarat, Maharashtra and Uttar Pradesh have local language websites. Only 17% of the Information Commissions provide online facilities for submitting appeals or complaints or both. While the CIC and the State Information Commissions of Gujarat and Tripura accept online filing of both, appeals and complaints, their counterpart in Bihar provides this facility for filing second appeals only. About 58% of the Information Commissions have displayed cause lists on their websites. In 2012 more than a half of the Information Commissions did not have this facility. Gujarat, Himachal Pradesh, Maharashtra, Nagaland, Rajasthan and Tripura have started this facility on their websites. Assam, Bihar, Goa, Madhya Pradesh, Manipur, Meghalaya, Mizoram and Sikkim continue to resist the idea of displaying cause lists on their websites. Less than half (48%) of the Information Commissions display the current status of pending appeals and complaints cases. The Central Information Commission was one of the earliest of such bodies to provide this facility. It is possible to search the status of one’s case by keying in one’s name and/or case number on the websites of the Information Commissions of Andhra Pradesh, Assam, Bihar, Himachal Pradesh, Jharkhand, Karnataka, Maharashtra, Odisha, Rajasthan and Tamil Nadu only. The most cumbersome of case status search facilities is that of the Uttarakhand Information Commission where the list of cases is not arranged in reverse chronological order. So a party to a case has to navigate through scores of pages before reaching the case status pages for the year 2014. The Central Information Commission and the State Information Commissions of Maharashtra and Uttarakhand are the only Commissions that have displayed figures regarding disposal of appeals and complaints cases on their websites up to May 2014. 58% of the Information Commissions, namely, those of Arunachal Pradesh, Assam, Bihar, Chhattisgarh, Goa, Gujarat, Himachal Pradesh, Jharkhand, Madhya Pradesh, Manipur, Mizoram, Nagaland, Sikkim, Tamil Nadu, Tripura, Uttar Pradesh and West Bengal, do no display information about disposal of cases and pendency of appeals and complaints. More than 66,000 appeals and complaints cases were pending in just six Information Commissions across the country. Maharashtra topped the list of Information Commissions with high levels of pendency. The Central Information Commission comes second with a total of 21,946 appeals and complaints up to May 2014. By analysing the data published on the website of the Kerala State Information Commission, we found that 7,745 cases were pending as of March 2014. Similarly from the data available on the website of the Punjab State Information Commission, we deduced that 1,348 appeals and complaints cases were pending in April 2014. The Uttarakhand State Information Commission had a total of 1,096 cases pending in May 2014. 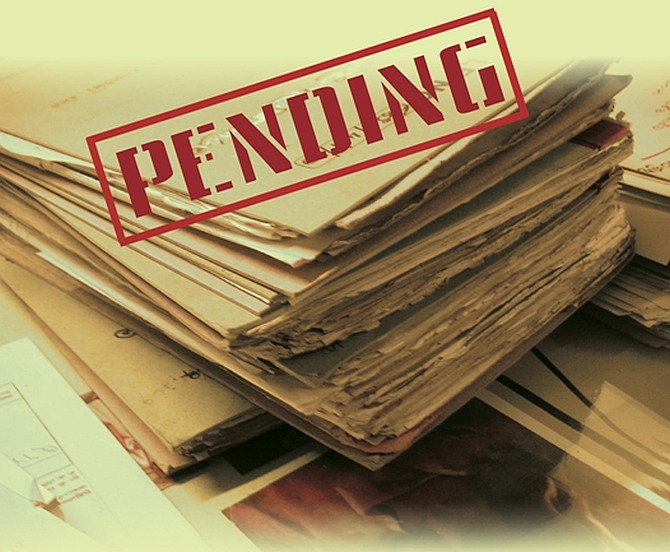 The J&K State Information Commission had a total of 140 cases pending in February 2014. About 65% of the Information Commissions (19 of 29) have uploaded on their websites their decisions on appeals and complaints cases disposed in 2014. In 2012 only 45% of the Information Commissions (13 of 29) provided such a facility. The State Information Commissions of Arunachal Pradesh, Goa, Jharkhand, Madhya Pradesh, Manipur and Uttar Pradesh have not uploaded any of their decisions for the last 2-4 years. The decisions database of the Sikkim State Information Commission is not accessible as the web link is not operational. Uttar Pradesh State Information Commission has not uploaded any of its decisions since 2012. None of the Information Commissions have published their Annual Reports for the year 2013-14. Only the CIC and the State Information Commissions of Gujarat, Karnataka and Mizoram have published their Annual Reports for all the years up to 2012-13. The States of Andhra Pradesh, Chhattisgarh and Odisha have displayed their Annual Reports for the years 2011-12. The Annual Reports of the State Information Commissions of Arunachal Pradesh, Madhya Pradesh, Manipur, Sikkim, Tamil Nadu and Uttar Pradesh are not available for any of the nine years since 2005. The Haryana State Information Commission has not published any Annual Report on its website since 2006. At 46%, Gujarat witnessed the sharpest rise in the number of RTI applications received amongst the four States during 2012-13. While public authorities received 54,570 requests in 2012 this figure shot up to 1,01,521 in 2012-13. A similar increase of over 46% was recorded in Odisha during the year 2011-12. While in 2010-11, 35,649 RTI applications were submitted across the State, in 2011-12 this figure rose to 52,305. Karnataka witnessed the second highest rise in the number of requests received at 29% during the year 2012-13. From 3,27,295 information requests in 2011-12, the number rose to 4,62,287 in 2012-13. At 26%, Chhattisgarh witnessed the third highest increase in the number of RTI applications received in 2012. The figure reached 66,469 from 48,785 in 2011. Public Authorities under the Central Government received 8,11,350 RTI applications during the period 2012-13. This is a 19% increase from the figure of the previous reporting period – 6,55,572 reported in 2011-12. It is difficult to treat this as a real rise in the number of requests because the proportion of public authorities reporting RTI data to the CIC has improved from 68% to 79% this year. So the percentage rise in the number of requests might be much smaller indicating a plateauing of the trend of submission of RTI applications. In Andhra Pradesh 1,45,583 information requests were received during the year 2012. This is an increase of only 16% from the figure — 1,22,133 recorded in 2011. While the use of the RTI Act increased in Karnataka, the amount of penalties imposed has grown astronomically. The Karnataka State Information Commission imposed a whopping Rs. 91.20 lakh as penalty on the Public Information Officers during 2012-13. This figure has nearly trebled since 2011-12 (Rs. 36.56 lakh). More than 50% of the penalty amount in Karnataka has been imposed on the officers of the Urban Development Department (Rs. 29.87 lakh) and the Rural Development Department (Rs 22.31 lakh) followed by the Revenue Department (Rs 13.70 lakh). The State Information Commission of Odisha imposed penalties totaling Rs 30.07 lakh in 203 cases in 2011-12, while its counterpart in Andhra Pradesh imposed penalties totaling Rs 18.01 lakh in 259 cases in 2012. The Chhattisgarh State Information Commission imposed penalties totaling Rs 14.10 lakh in 2012. The Gujarat State Information Commission imposed only Rs. 3.06 lakh as penalty in 20 cases in 2012. The CIC has reported imposing penalties totaling Rs 13.29 lakhs in 2012-13 although the Central Government received the highest number of RTI applications amongst all other governments. The penalty amount has reduced by 65% compared to 2011-12 when the CIC had imposed penalties worth Rs 38.82 lakh. The Karnataka State Information Commission awarded compensation totaling Rs. 4.52 lakhs in 2011-12. Its counterpart in Chhattisgarh awarded Rs. 1.59 lakhs as compensation in 2012. The Gujarat State Information Commission awarded compensation totaling Rs. 21,000 in 2012-13. Government of India as well as different State Governments should give fair distribution to all categories i e, Engineers,Doctors,Civil Servants,Educationists,Journalists,etc in appointing SIC/CIC,because RTI Cases pertains to every field.